08:30 Meet our private English-speaking guide at your hotel’s lobby. 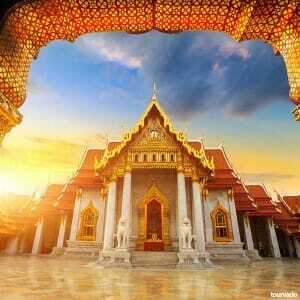 We than depart from hotel to Rattanakosin Island which is the improtant and original area of Bangkok when this city was first established as capital of the Kingdom about 200 years ago. We will cruise on comfortable long-tail motor boat on Chao Phraya River and on it’s best canals around the Thonburi area. You will be witnessing a spectacular and colorful scenery of unique Thai life on the way on the river banks. 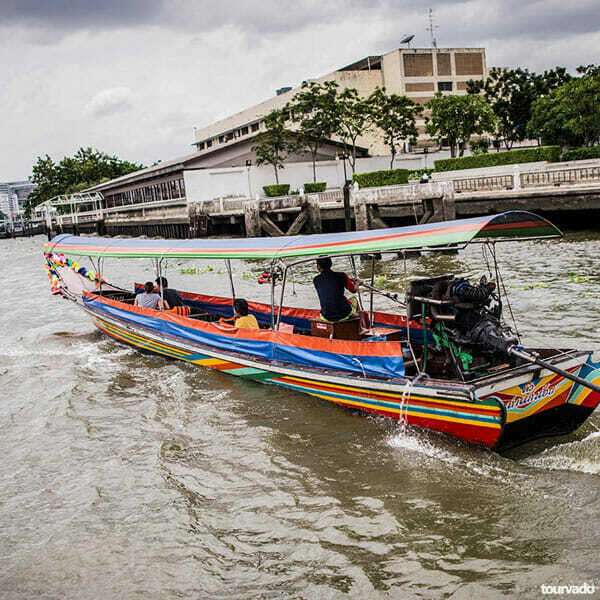 Most of Bangkok citizens still nowaday depend on the waterways of the river for transportation of their merchandise. 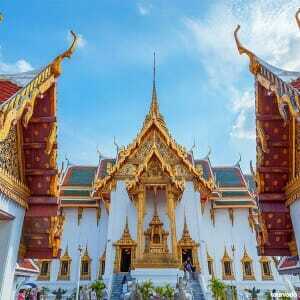 On this way you can see many amazing temples and architectural buildings, we will be sightseeing the majestic Grand Palace, the Wat Arun or The Temple of Dawn, the Royal Thai Navy Dockyard, all the complex of the Old Customs House and Royal Barges Museum and the Thai Maritime Navigation Company. 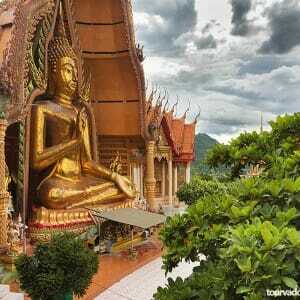 Then we will arrive to the famous Flower market so we can experience the atmosphere of this really unique Thai market and continue our City-sightseeing tour on the Ratchadumnoen Rd. (The Royal’s Way); on this particular city road you can see many magnificent temples and architectural buildings, you can take many nice pictures of the City Pillar Shrine, of the National Museum and the Democracy Monument, the Golden Mountain and the Thai Boxing Stadium, aslo of the Thai Parliament House, Dusit Zoo and Chitlada Palace King’s Residence, the Anantasamakhom Palace. 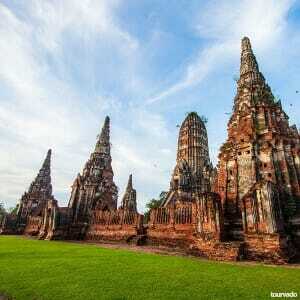 Finishing this tour we will be visiting Thai local product store then tranfer to your hotel. 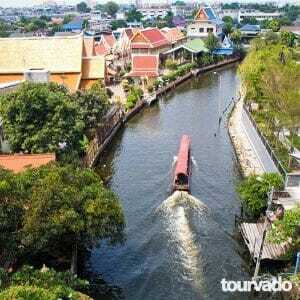 This is for sure one of Bangkok most popular tours, the Bangkok Canal Tour by Boat. 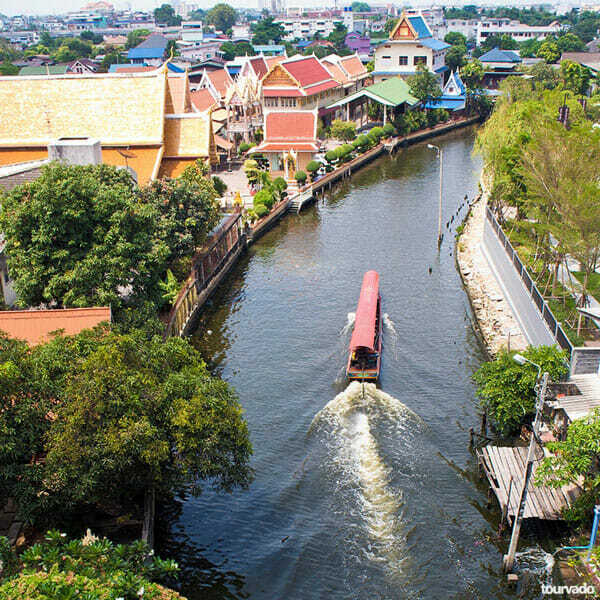 A great Bangkok Waterways Tour always gives all guests a peculiar and rich insight into Buddhism, architecture and of course into the hustle and bustle of Bangkok, all from a different prospective. 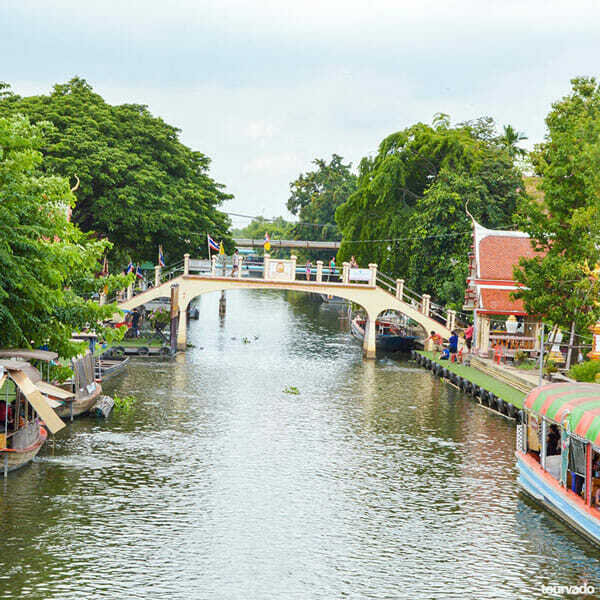 With this Bangkok Waterways Tour you will visit three of the capital’s most beautiful temples including a nice boat trip on the Chao Phraya River and it’s best canals.